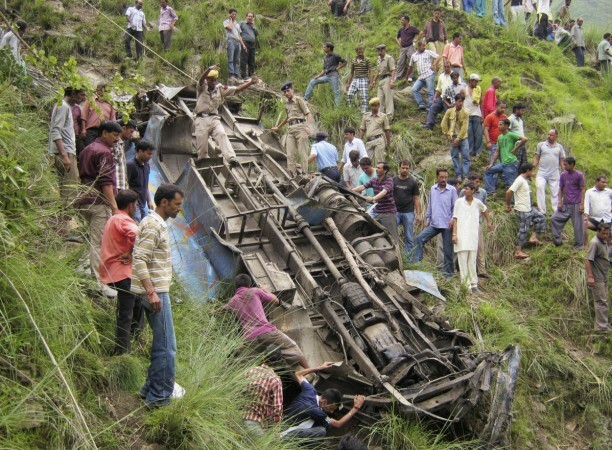 The accident occurred at Plera when the driver of the bus, coming from Loran to Poonch, lost control over the vehicle while negotiating a curve and rolled down into a 100-meter gorge, a police official said. Quoting preliminary information, he said 11 persons were killed on the spot while 19 others were injured in the accident. The death toll is expected to go up as the condition of most of the injured was stated to be "critical", the official said. A rescue operation is on and further details are awaited, he said.